79:1.1 For over twenty-five thousand years, on down to nearly 2000 B.C., the heart of Eurasia was predominantly, though diminishingly, Andite. In the lowlands of Turkestan the Andites made the westward turning around the inland lakes into Europe, while from the highlands of this region they infiltrated eastward. Eastern Turkestan Sinkiang and, to a lesser extent, Tibet were the ancient gateways through which these peoples of Mesopotamia penetrated the mountains to the northern lands of the yellow men. 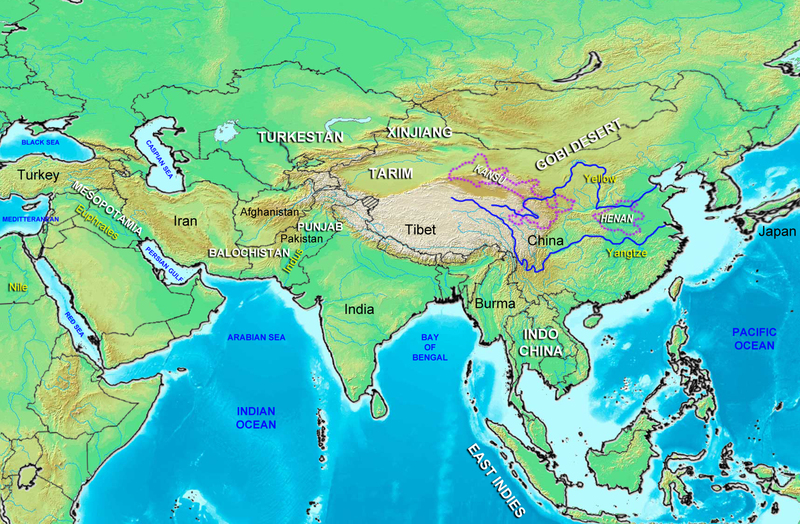 The Andite infiltration of India proceeded from the Turkestan highlands into the Punjab and from the Iranian grazing lands through Baluchistan. These earlier migrations were in no sense conquests; they were, rather, the continual drifting of the Andite tribes into western India and China. 79:1.8 But even in the twentieth century after Christ there are traces of Andite blood among the Turanian and Tibetan peoples, as is witnessed by the blond types occasionally found in these regions. The early Chinese annals record the presence of the red-haired nomads to the north of the peaceful settlements of the Yellow River, and there still remain paintings which faithfully record the presence of both the blond-Andite and the brunet- Mongolian types in the Tarim basin of long ago. 79:2.1India is the only locality where all the Urantia races were blended, the Andite invasion adding the last stock. 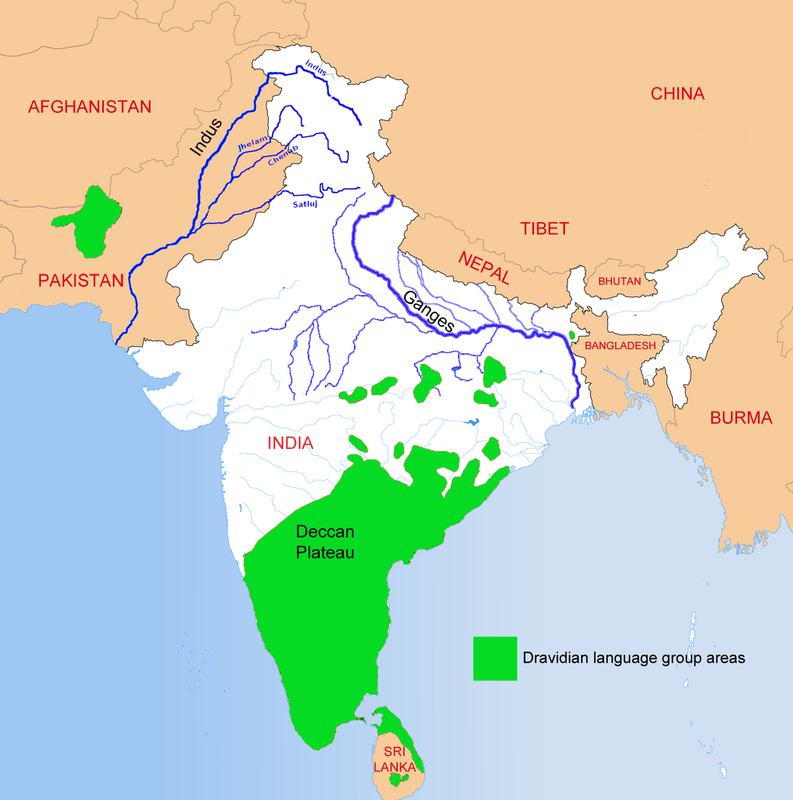 In the highlands northwest of India the Sangik races came into existence, and without exception members of each penetrated the subcontinent of India in their early days, leaving behind them the most heterogeneous race mixture ever to exist on Urantia. 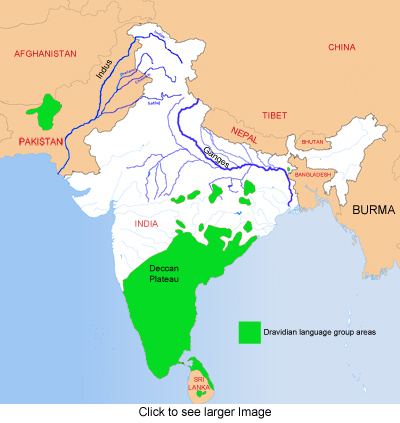 Ancient India acted as a catch basin for the migrating races. 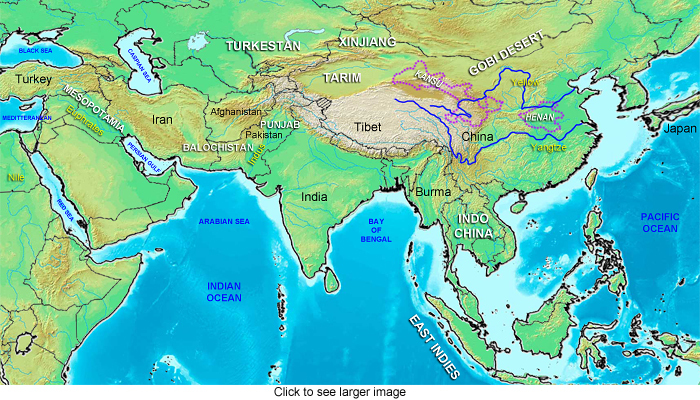 The base of the peninsula was formerly somewhat narrower than now, much of the deltas of the Ganges and Indus being the work of the last fifty thousand years. 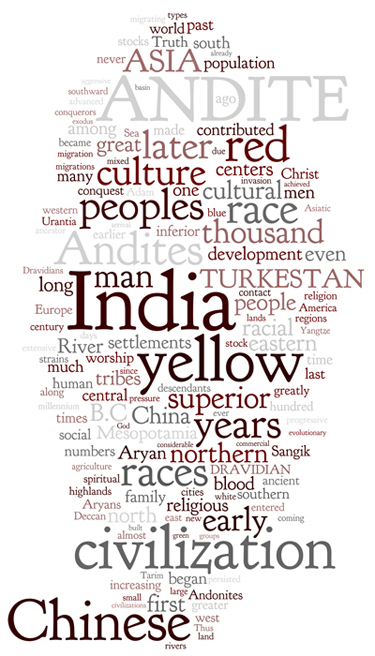 79:5.8 The red and the yellow races are the only human stocks that ever achieved a high degree of civilization apart from the influences of the Andites. The oldest Amerindian culture was the Onamonalonton center in California, but this had long since vanished by 35,000 B.C. In Mexico, Central America and in the mountains of South America the later and more enduring civilizations were founded by a race predominantly red but containing a considerable admixture of the yellow, orange, and blue. 4. Geographic.China is protected by the mountains to the west and the Pacific to the east. Only in the north is the way open to attack, and from the days of the red man to the coming of the later descendants of the Andites, the north was not occupied by any aggressive race. 79:8.15 The formative period of Chinese civilization, opening with the coming of the Andites, continues on down to the great ethical, moral, and semireligious awakening of the sixth century before Christ. And Chinese tradition preserves the hazy record of the evolutionary past; the transition from mother- to father-family, the establishment of agriculture, the development of architecture, the initiation of industry—all these are successively narrated. And this story presents, with greater accuracy than any other similar account, the picture of the magnificent ascent of a superior people from the levels of barbarism. During this time they passed from a primitive agricultural society to a higher social organization embracing cities, manufacture, metalworking, commercial exchange, government, writing, mathematics, art, science, and printing. 79:8.16 And so the ancient civilization of the yellow race has persisted down through the centuries. It is almost forty thousand years since the first important advances were made in Chinese culture, and though there have been many retrogressions, the civilization of the sons of Han comes the nearest of all to presenting an unbroken picture of continual progression right on down to the times of the twentieth century. The mechanical and religious developments of the white races have been of a high order, but they have never excelled the Chinese in family loyalty, group ethics, or personal morality. 79:8.17 This ancient culture has contributed much to human happiness; millions of human beings have lived and died, blessed by its achievements. For centuries this great civilization has rested upon the laurels of the past, but it is even now reawakening to envision anew the transcendent goals of mortal existence, once again to take up the unremitting struggle for never-ending progress.